Perfect for your little cat lover, this DOLCE & GABBANA Silk Mini Me Gatti Cat Print Baby Outfit is luxuriously soft to the touch. This silk trousers and top set from Dolce & Gabbana's Mini-me collection comes in both baby, kids and adult sizes. Featured on the runway at Milan Fashion Week, this D&G outfit will certainly leave a lasting impression with the dramatic 'gatti' or cat print. Stylish and super comfy, your little fashionista will never want to take this outfit off! 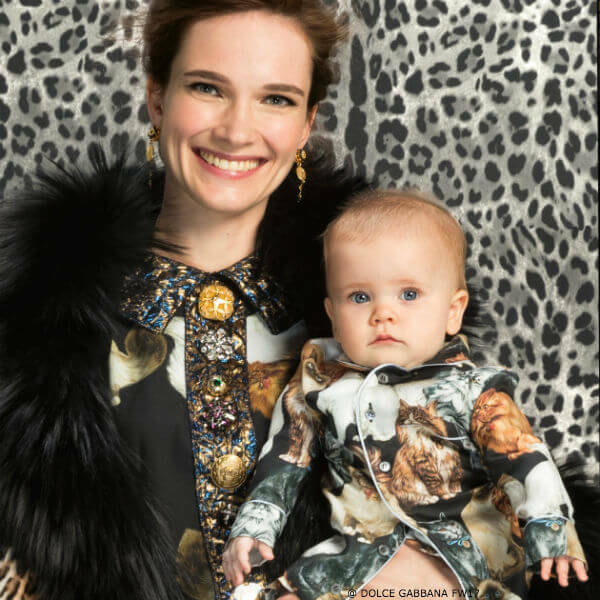 Unfortunately, this DOLCE & GABBANA Silk Mini Me Gatti Cat Print Baby Outfit is not currently available. 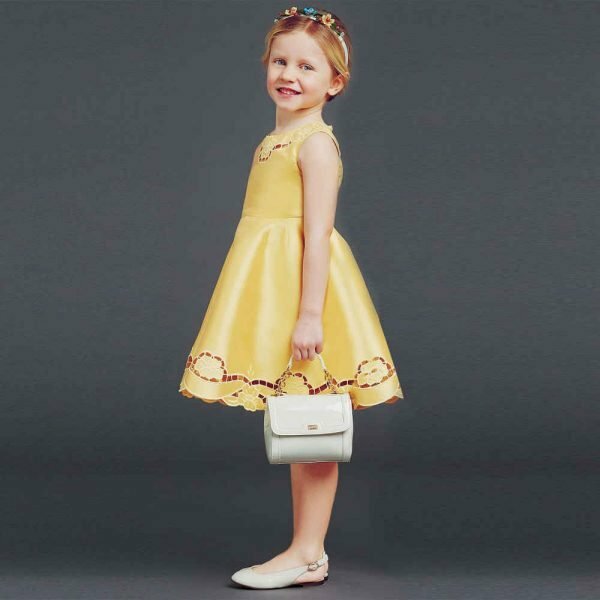 You can shop similar DOLCE & GABBANA Baby clothes from the current collection online.